It looks like Microsoft is about to give Nokia Lumia 635 a random access memory bump. An unannounced version of the popular entry-level smartphone with 1GB of RAM appeared in a Telenor product listing in Hungary. A list of ROMs on Microsoft’s own servers also confirm the existence of the new model. It reveals that the upcoming device will be available on a number of wireless carriers. The latter include Telekom, Movistar, TIM, and Wind among others. Overall, it appears that Microsoft is about to quit offering entry-level smartphones with 512MB of RAM. The Redmond giant’s latest Lumia 435 and Lumia 535 also pack 1GB of RAM. Microsoft has a scheduled MWC event on March 2. 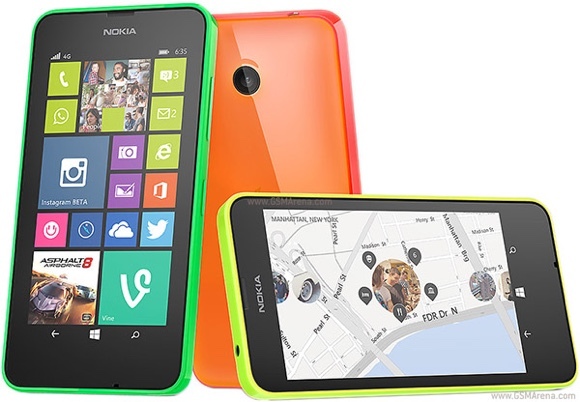 The updated Lumia 635 is likely to be announced then.